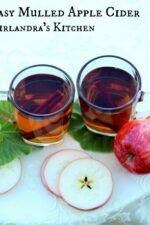 This Mulled Apple Cider is easy to make in a crock-pot and makes the entire house smell nice. 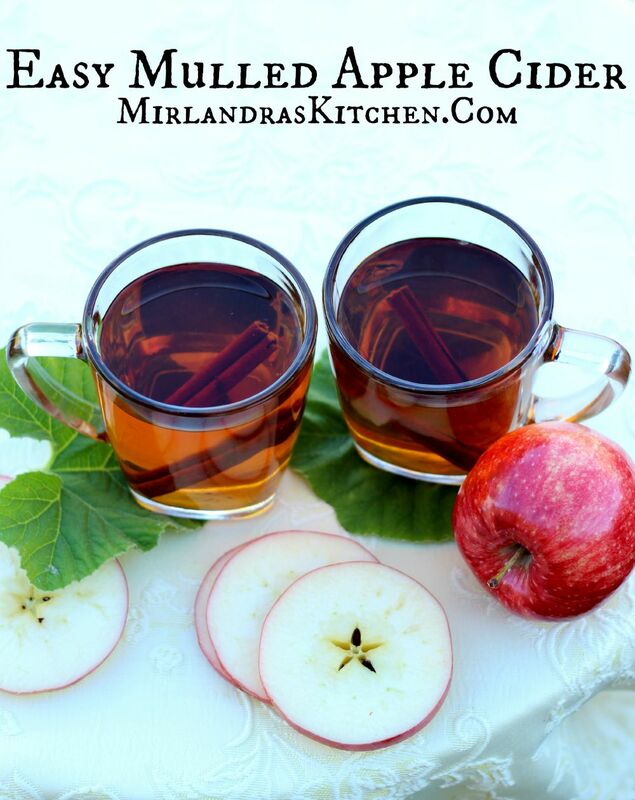 Every fall gathering is better with a little cider! Fall party season is in full swing for us now. Tonight we spent the evening playing Ultimate Werewolf with friends. If you have never played this think something along the lines of Mafia. It is a total hoot! Unfortunately, I can’t get anything past my husband so when I’m the werewolf he knows off the bat. Oh well, I guess being a terrible lire is no great loss! Along with parties come FOOD! We have been spending lots of time in the kitchen whipping up yummy fall treats to share with our friends. This afternoon I threw together my easy mulled cider to bring for werewolf night. I love that it goes together in a jiffy and then just sits on the counter all afternoon getting yummier and yummier. It’s also a recipe you can do on the cheap if need be. Sometimes I buy the high end fresh pressed cider from a local farm, but in a pinch I use cheep frozen concentrate. Make sure to check on bulk options such as Winco to save money on whole spices. No matter your budget, the end result is always wonderful. Usually it disappears down to the last few tablespoons but if you happen to have any leftover try it cold. I think I might like that even better than hot. If you are planning on some parties this fall expect this recipe to be just right for 12-15 people. 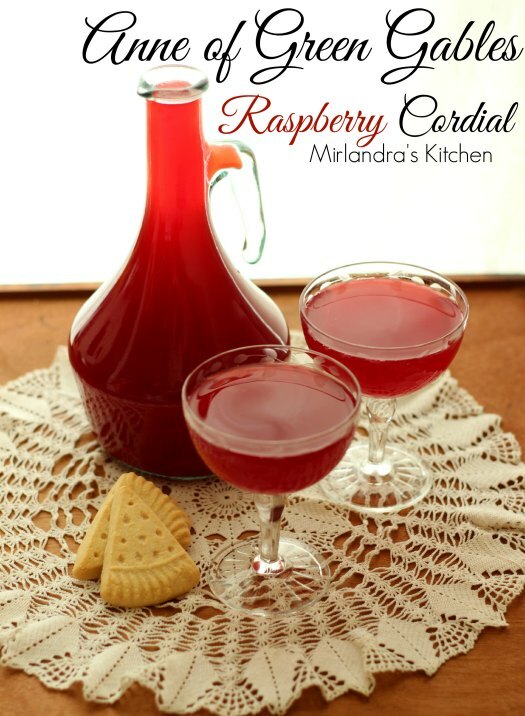 Another of my favorite drinks is the wonderful Anne of Green Gables Raspberry Cordial. I find it is a big hit at fall parties. In a large crock pot, mix apple juice concentrate with water according to package directions. Turn crock pot on high. Add the spices. Cover the crock pot and leave on high for 3 hours. Use a strainer to skim out spices if desired. Wash the apples. Slice 1/8" slices down the length of the apple to reveal the star pattern of the core. Remove the seeds (they are poisonous). Add all the pretty slices to the cider. Eat or discard any slices that don't display the star pattern. Turn the crock pot to the "keep warm" setting to hold the cider for serving.